Our Avondale Assisted Living community is slated for completion in the spring of 2019. 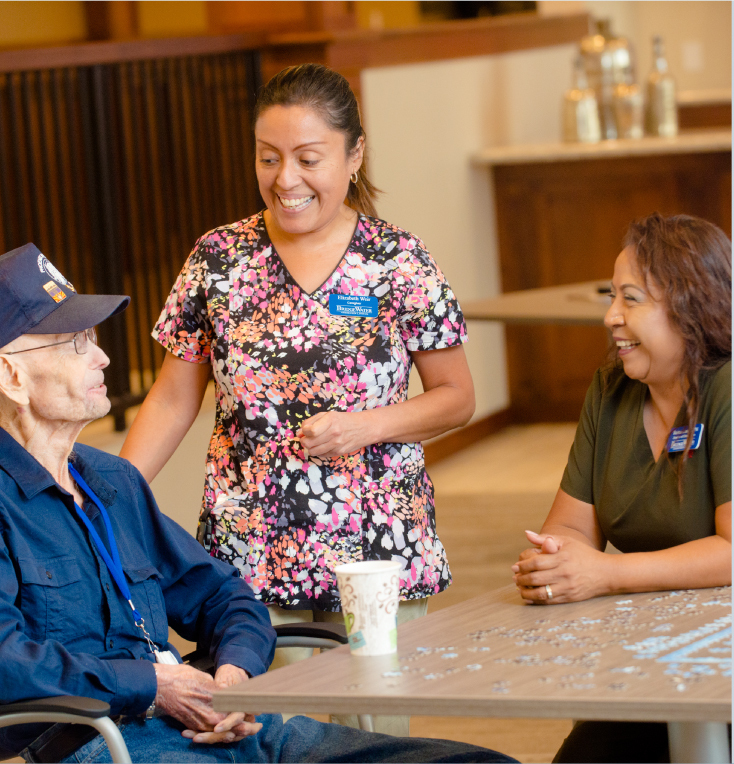 This beautifully designed senior living campus will provide independent and assisted living, along with a specialized memory care neighborhood. Our Avondale residents will enjoy five-star services and amenities at prices they can afford. Our Avondale campus will be a modern, upscale resort-style community with a small-town feel. Close to shopping and restaurants, as well as outdoor activities such as world-class golf courses and the Phoenix International Raceway for the NASCAR fans. Want to get out into nature? Take a stroll through the Estrella Mountain Regional Park Nature Center or join a class or event at the amphitheater. We’re certain accommodations will fill quickly, so reserve your spot today! At BridgeWater Assisted Living, we believe our residents want to make their own decisions about the care and services they need and want. Need a helping hand? We’ll be there to provide compassionate care in a comfortable and respectful manner. Every BridgeWater Assisted Living apartment is equipped with GreatCall Technology™. This exciting technology is designed to improve wellness outcomes for our residents by allowing our care teams to ‘see behind the door’ in a manner that is private and non-invasive. GreatCall Technology© provides a wide range of clinical data that helps our staff deliver better care to our residents. Careful monitoring of data allows our healthcare team to proactively identify emerging health concerns, and quickly address them with less downtime and better outcomes for residents. We also want to help seniors and families cut through the red tape to find the information they need to afford assisted living. That’s why we have a dedicated Community Benefit Advocate available to help you explore options for qualifying for financial resources.